If you’ve been dreaming about turning your favorite lazy Sunday look into regular streetwear, those days are finally here. Skin-tight clothing left the center stage, so now is the time to learn how to navigate the oversized pieces and make them flattering for your personal style. 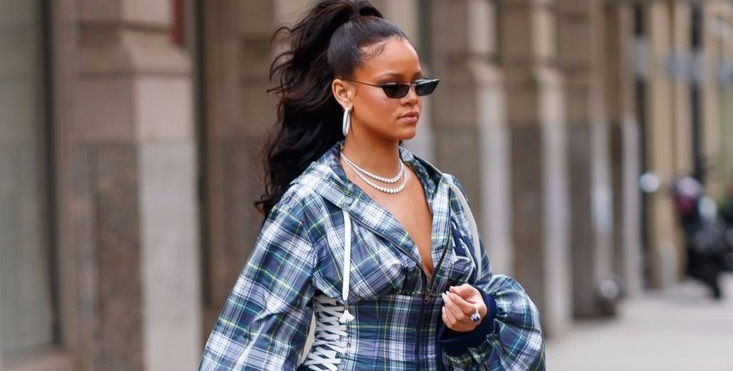 Thanks to this rising trend, you’ll be able to run errands and walk around the city in your favorite oversized shirt or a sporty hoodie without worrying you’ll look too plain. Baggy has become a new fashion statement, and here’s how you can incorporate it into your everyday outfits. When shopping for oversized clothes, make sure you don’t buy four or five sizes bigger pieces, because they’ll become “oversized” on every part of your body, including those where they should look oversized and those where they shouldn’t. You should look for pieces in your own size that are actually made to be baggy and slouchy. This way, you’ll get that oversized look, without making it look unflattering on you. When you think oversized, you shouldn’t see it as an entire outfit made of baggy clothes, but rather mix fitted pieces with slouchy ones. This is a great idea because it’ll help you get that lazy yet stylish feel, and not make you look like you just got out of your mid-day nap. Make an oversized cardigan or a boyfriend blazer a statement piece, and mix it with fitted bottoms and heels to balance out your ensemble. Usually, the entire focus is on tops and jackets when it comes to the oversized trend, but you can also get that effortless look if you put an emphasis on your pants. Wide-legged pants and palazzo pants are great choices, and they’ll go perfectly with a tucked-in shirt or a sweater. Furthermore, consider matching trendy boyfriend jeans with your favorite blouse, and dress it up with a pair of heels or down with some flat shoes. Fitted tops in combination with baggy bottoms and stylish statement shoes will definitely make heads turn. With chiffon and silk, you’ll achieve that flowy and ethereal appearance, whereas knits and fabrics will create the baggy look, making the fabrics look heavy on you. This is why you should think about mixing the textures, so you don’t look too comfortable but add a dose of style to your lazy-day-like outfit. Match a lightweight, oversized top with leggings or skinny jeans. Top it all off with a blazer, and your oversized ensemble is all set for another working day. Short and mini skirts can be great companions to oversized sweaters and jackets. They’ll balance them out nicely, offsetting the volume on the top half perfectly. Just make sure the hem of your bottoms is visible. You don’t want that awkward moment where people wonder if you’re wearing bottoms or not to happen, so it’s essential that you can see the hem of your skirts or shorts. Also, the oversized clothes should always keep some kind of structure if you intend to make it look trendy and stylish, so avoid round and shapeless relaxed-fit pieces, but go for sweaters with a tight, cowl neckline and a wide, bold collar on a loose-fitting blazer. Baggy is the new trend we’re all embracing with joy and if you’ve had trouble making it your thing, these few guidelines will definitely help you out a lot. As long as you stick to your size, try to balance out bottoms and tops, and mix various textures, you’ll soon get plenty of your own ideas and certainly make the most of your slouchy style.